This is the mini version of the Quick Curve Ruler. It is used for cutting curves easily. Reduces curved cutting and sewing time. 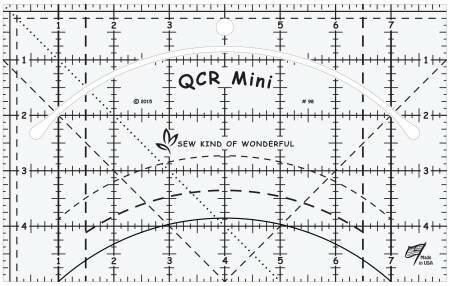 Multiple QCR Mini patterns are available. Use it as a square-up ruler. Free Mini Runner pattern included. Ruler measures 5" x 8".